Elaboration: Moscatel de Alejandría comes from the steep slopes of the Axarquía and Pedro Ximen comes from Malaga Mountains.Decomposing slate is the type of soil in these two areas, where the plants grow and the grapes mature to get an extraordinary quality fruit. 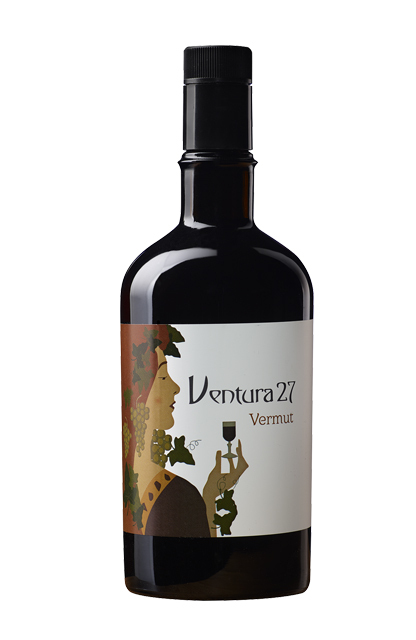 This craft vermouth is made using traditional methods, with selected grapes and the best botanical herbs and spices. Mixed according to the original formula and slow maceration in our winery, located in the region of the Axarquía, to achieve balance and elegance necessary before releasing them for your enjoyment. Ageing: 12 months in very old american oak wood. These barrels nested inside for many decades the best holandas with which a magnificent brandy was produced. Analytical features: Alcoholic strength by volume of 15% . Characteristics: Iodine notes with amber background, bright and brilliant. Spicy aromas, cinnamon and orange peel. In the mouth, bitter-sweet adds freshness and amenity.